It's the Champions League quarter-finals and only a fool would expect an easy game at this stage of the competition. Nevertheless, few people certainly predicted Ajax would dominate tonight's game in such a strong fashion. 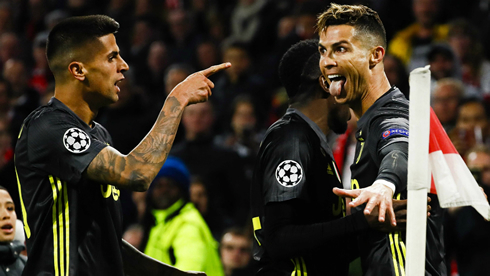 The way this Dutch side knocked out Real Madrid in the previous round and the way they battled against Juventus in tonight's 1-1 draw at the Johan Cruijff Arena, once again shows us that being favorites on paper doesn't mean much, especially when so much talent and energy comes into play. The same evidences are regularly seen when betting on NFL, with many underdogs proving everyone wrong. 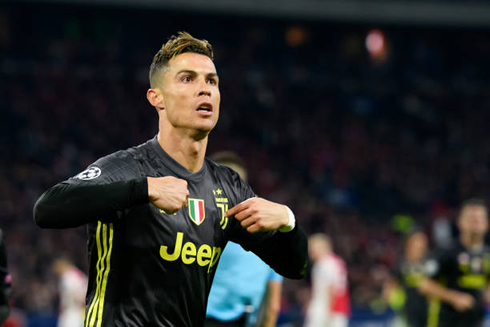 Cristiano Ronaldo returned to the squad after a long absence and was once more decisive by scoring the only Juventus goal in this first leg. Once again, Cristiano Ronaldo has showed up in his favorite competition with a goal and in a certain way, he managed to rescue his team from a dangerous loss in Amsterdam this Wednesday night. 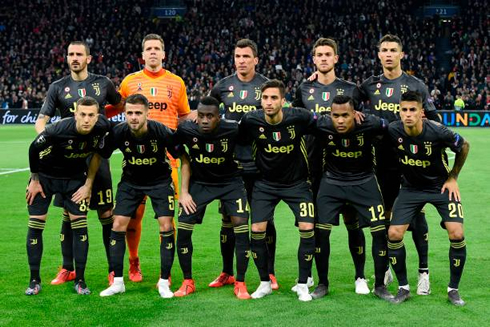 It was an exciting game mostly due to a very energized Ajax side, who will definitely cause more trouble to the Vecchia Signora next week, when the two teams play again for the second leg, this time in Turin at the Allianz Stadium. Johan Cruyff used to defend the idea that the goalkeeper should be the first attacker and the attackers should be the first defenders. Seeing the way this Ajax side is playing this season, it's safe to say that the Dutch legend would have been proud of his team. Constant pressure and attacking football really define Ajax and that's what they had waiting for Juventus tonight in Amsterdam. Juventus missed Chiellini in defence, even though Rugani did a pretty good job given the volume of attacking plays produced by the hosts, who always seemed to be in the imminence of scoring. However and whenever a player like Cristiano Ronaldo is on the pitch, everything can change in the blink of an eye. That's what happened in the dying stages of the first half, when João Cancelo brilliantly found Cristiano Ronaldo sprinting to the heart of the box and the former Real Madrid forward broke the deadlock with a strong header. That was Ronaldo's 5th goal in the Champions League this season! Ajax walked into the dressing room at half-time with a sense of frustration, but they knew that if they kept the same attitude in the second half they would probably be rewarded. That's precisely what happened and it took less than a minute for the home fans to jump off their seats to celebrate the equaliser. João Cancelo's mistake allowed Neres to move forward with the ball near the edge of Juventus' box and with a great curled strike he beat Szczesny to make it 1-1. It took the hosts 5 shots on target to score their first goal on the night. Juventus and Ronaldo only needed 1 to get their important goal... Even though Ajax scored right after the break, they kept the pressure on Juve throughout the second half and only slowed down a bit when their energy levels started running out. 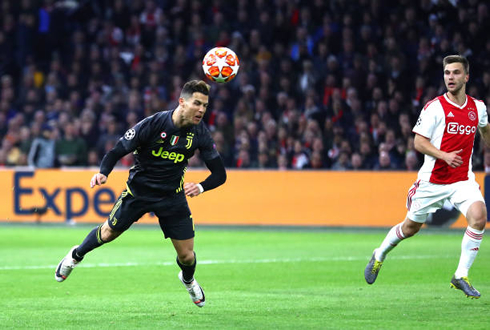 The best chances to score again belonged to the Amsterdam side, but the Italian champions could have also grabbed the lead when a superb solo play from Douglas Costa in the 85th minute ended up with the Brazilian hitting the far post. It was a great and entertaining match given the stage of the competition we're at and we can certainly expect a thrilling second leg in Turin next week. Juventus may be in advantage going into the next match, but so was Real Madrid and look at what have happened to them. If Allegri and his men underestimate Ajax even if only for a second next Tuesday, don't get surprised if Juventus fail to go through to the semi-finals. Attackers: Bernardeschi, Cristiano Ronaldo, Mandzukic. Cristiano Ronaldo next game for Juventus is for the Serie A on April 13 of 2019, against SPAL. You can watch SPAL vs Juventus, Atletico Madrid vs Celta de Vigo, Villarreal vs Valencia, Slavia Praha vs Chelsea, Arsenal vs Napoli, and Benfica vs Eintracht Frankfurt, all matches provided from our live soccer game pages.